St John’s Primary School Year 5 student Luke Durkin with his project. 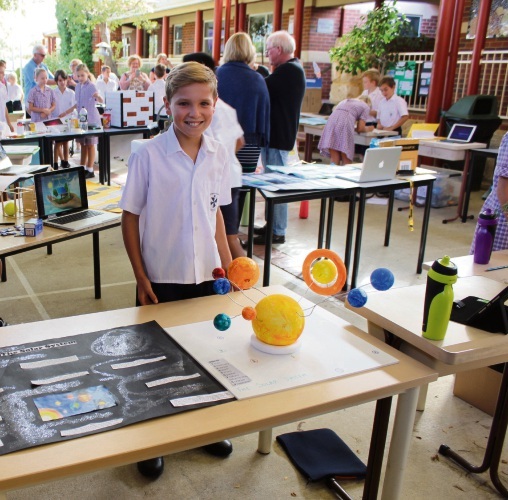 STUDENTS showed their ingenuity and creativity at a Scarborough school’s recent science expo. St John’s Primary School’s years 4 to 6 students took part in the expo, with many choosing to focus on sustainability for their research projects. They had to prepare a project based on a science, technology, engineering and maths topic that demonstrated their acquired knowledge and presentation skills. Teacher Rosalba Bottega said the exhibition was a great display of student’s learning. 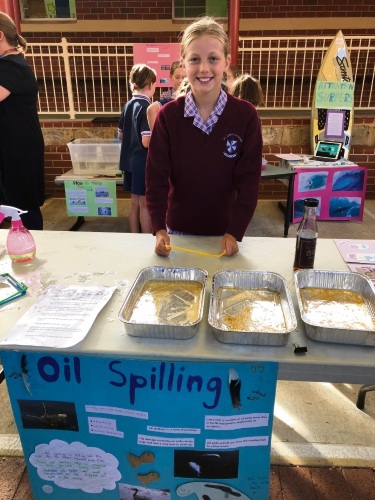 Year 5 student Lily Sweeney with her oil spill project. “The students were highly engaged and there was a buzz of excitement as they set up their projects for display and readied themselves for their presentations,” she said. “Visitors to the exhibitions were both informed and entertained by the students.